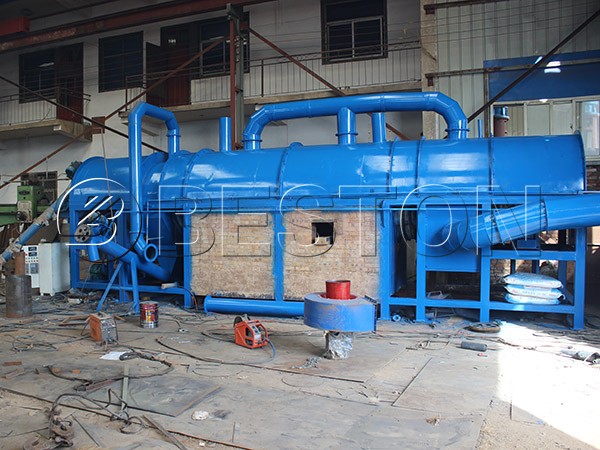 Beston biomass carbonization plant can help you get qualified biomass charcoal. 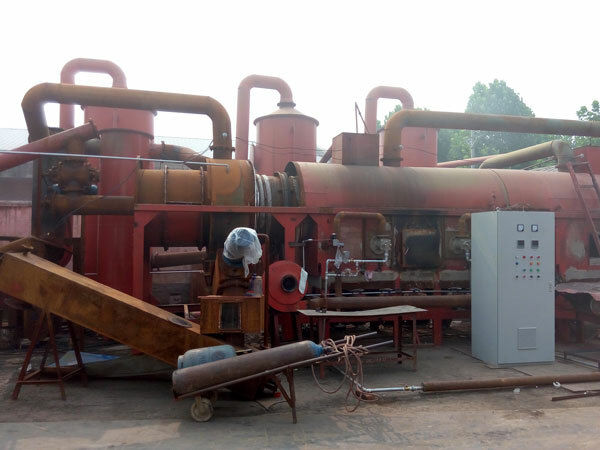 By using this machine, you can avoid the pollution caused by burning different kinds of biomass waste. 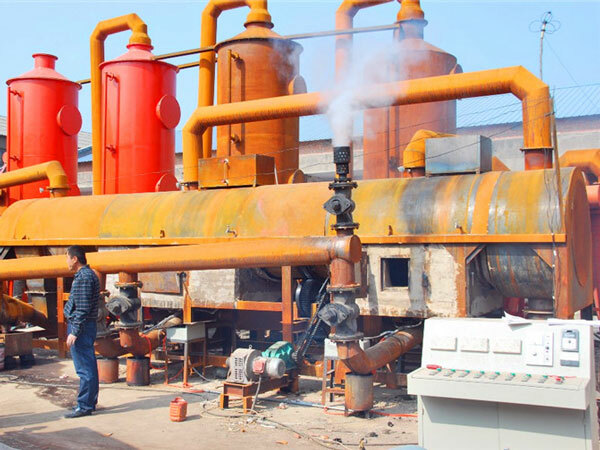 At the same time, you can also make fully use of biomass energy. The followings are the brief introduction to help you have a better understanding about this plant. 1. 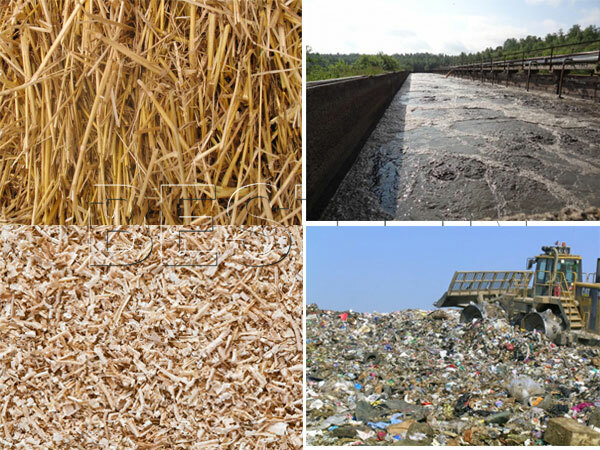 All kinds of biomass waste, including rice husk, straw, sawdust, wood, palm shell and so on. Second, how does it works? 1. 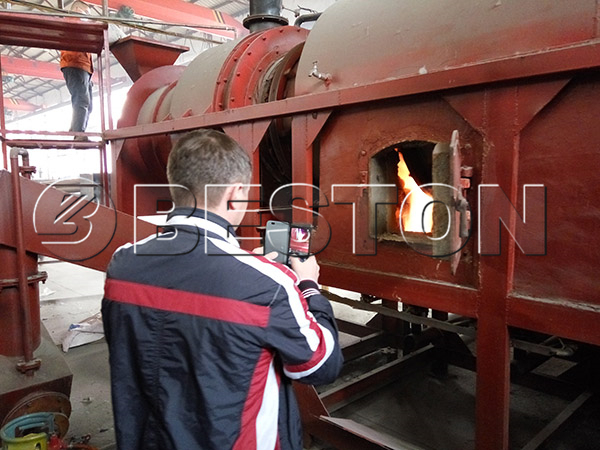 Beston biomass charcoal machine has a specific standard for the raw material. It requires that the water content should below 20% and the size is around 50 mm. We can provide you with crusher and dryer if the pre-treatment is necessary. 2. 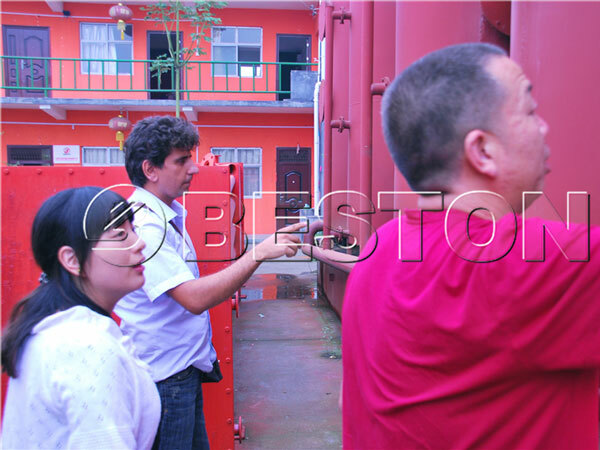 Then put the raw materials into the silo by forklift, and convey the raw material to the quantitative feeder by belt conveyor. Then the raw materials are finally sent to the carbonization host by quantitative feeder uniformly. 3. The carbonization host needs pre-drying for 30 minutes. 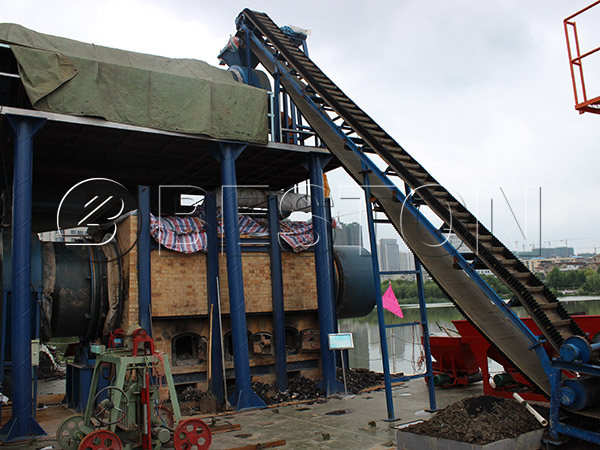 You can get biomass charcoal after the carbonization process starts for 15-20 minutes. 4. During the working process, you will get combustible gas, which can be recycled. After the de-dusting process, the combustible gas will be processed by the condenser, and in this process, you can get tar and wood vinegar, then combustible gas will be led out and be used to recycle the host. 5. 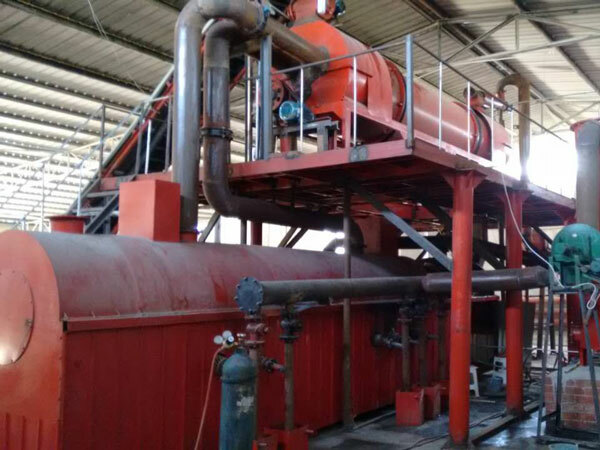 Biomass charcoal will be discharged fully automatically after the water cooling system. 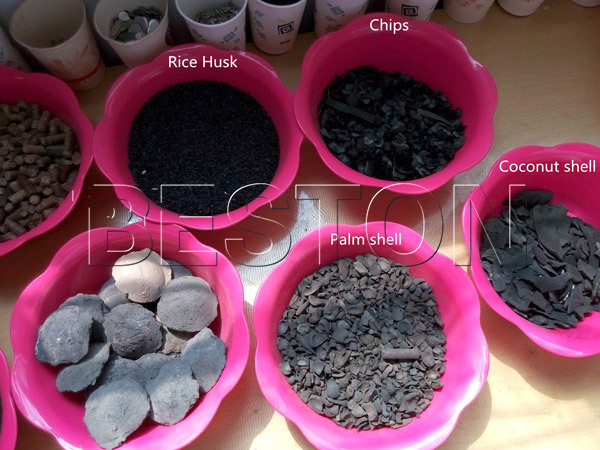 Third, what you can do with biomass charcoal you get. 1. Agriculture: It can improve the soil quality and heat the greenhouse. 2. Industry: It can not only be reprocessed into active carbon, but can also be used for construction bricks with clay. What’s more, it can be applied to get electricity. 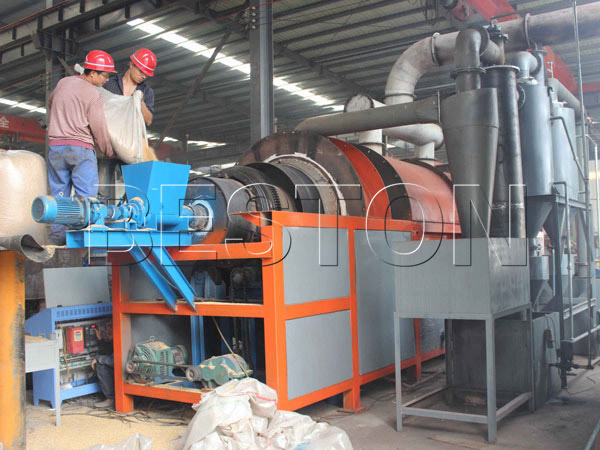 Fourth, why you should choose Beston biomass carbonization plant for sale. 1. Our plant adopts the double-layer design, which can make the lower part of the machine contact the hot air as much as possible. So the heat utilization efficiency is pretty high. According to the data, the heat utilization rate of our plant can reach 85%. 2. It is equipped with the casing and the temperature detection device. 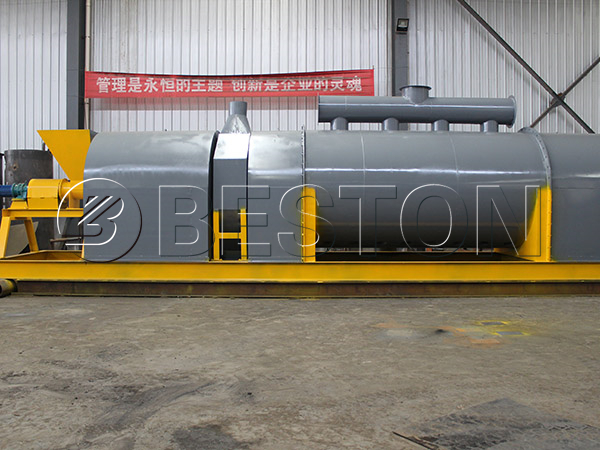 The whole carbonization process is completed under the high temperature, so the casing and the temperature detection device can ensure the safety of both the operator and the plant itself. 3. 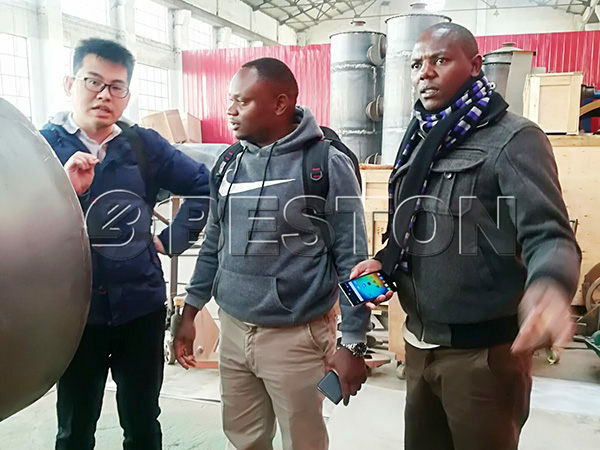 Beston Group has been the waste recycling plant manufacturing field for many years, and after years’ efforts, many of our products have has registered a patent. Our equipment is awarded as the Green Star, which means that they can reach the environmental protection standard. 4. If you choose our plant for sale, you can enjoy the best service provided by us. 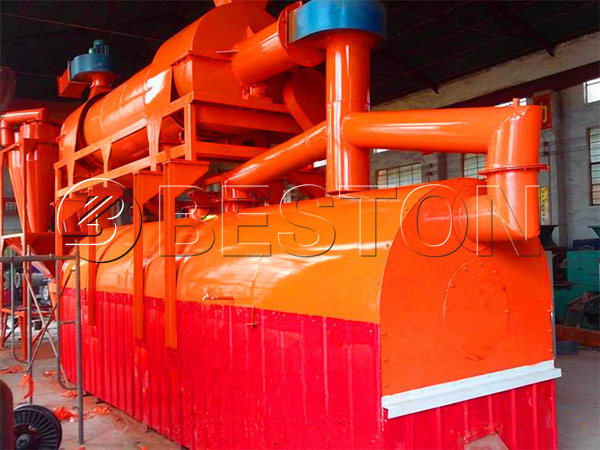 Beston biomass carbonization equipment makes fully use of the biomass waste and other kinds of waste. It also helps the customers make profits from the waste. Up till now, we have established business relationship with many customers from all over the world, such as Vietnam and Australia. Many customers also came to visit us before they make the decision. 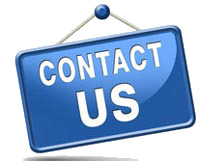 If you have any interest in the machine, please contact us at any time.